West Indies 264 (Kieron Pollard 56, Marlon Samuels 46, Jacob Oram 3-42) beat New Zealand 240 (Ross Taylor 110, Rob Nicol 35, Tino Best 4-46) by 24 runs. West Indies smashed 264 runs before they were bowled out in 49.5 overs and the innings of New Zealand was folded back three balls earlier than the scheduled 50 overs for 240 runs. Sunil Narine (West Indies) was declared ‘Player of the match’ for his economical spell as he held two wickets for just 20 runs in his quota of 10 overs. The fourth One Day International was played on Saturday, July 14, 2012, at Warner Park, Basseterre, St Kitts. Earlier, the Windies captain, Darren Sammy won the toss and elected to bat first on a batting favourable wicket. They found themselves in hot waters after losing three quick wickets for 20 mere runs in seven overs as the Black Cap bowlers struck early. The batsmen who went back to the pavilion included the openers Johnson Charles, Chris Gayle and the top order batsman Dwayne Smith. Marlon Samuels and Dwayne Bravo stopped the invasion of the rival bowling as the next couple of overs ended as a maiden. Bravo opened up in the 11th over by gathering two fours but was dropped at 12 by Ross Taylor in the first slip off Jacob Oram. Samuels opened his shoulders in the 17th over by getting two fours and the score was enhanced to 59 after 17 overs. Bravo was gone on the first ball of the next over and the hard hitting Kieron Pollard took over. Marlon Samuels hit one six and one four in the 27th over but lost his wicket on the last ball for 46 off 64 balls with 1 six and 6 fours. Kieron Pollard became the major contributor and played a vital knock of 56 scored off 70 deliveries with 1 six and 5 fours as the lower order batsmen added useful runs. The innings of the Caribbeans was squeezed for 264 runs with one ball to spare from the measured 50 overs. Tim Southee and Jacob Oram were main wicket takers with three each whereas Doug Bracewell, Trent Boult, Nathan McCullum and Rob Nicol claimed one wicket each. New Zealand lost the first wicket at eight runs as Rob Nicol and Brendon McCullum tried to consolidate the innings. The first accumulated 12 runs in the fourth over with a couple of fours and the first fifty of the innings was posted in the seventh over. McCullum became the next victim two balls later for 10 when Ross Taylor appeared on the scene after a four game absence due to his shoulder injury. The skipper started off with two consecutive fours as Rob Nicol was caught at deep midwicket off Darren Sammy for 35 off 32 balls with 2 sixes and 3 fours. The visitors lost four wickets for 75 in 13.4 overs as the young gun Tom Latham joined in with Taylor. The score board crept to 100 in 26 overs and the total was taken to 146 off 33.4 overs when Latham was gone for 32 runs. Ross Taylor took over and added 15 runs in the 40th over with two huge sixes as the wickets kept on scrambling at regular intervals from the other end. 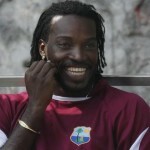 He was severe to Andre Russell and punished him for 21 runs in the 43rd over with two smart sixes and one four. The master batsman completed his hundred on the fourth ball of the 46th over with a single. Taylor tried to escalate the run rate but was finally caught at point by Sammy off Tino Best for 110 from 115 balls comprising 5 gigantic sixes and 6 fours. The tail vanished without much resistance and the whole team was bowled out for 240 runs in 49.3 overs. Tino Best was the star performer with four wickets, Sunil Narine held two whereas Andre Russell, Darren Sammy and Marlon Samuels sheared one wicket each. 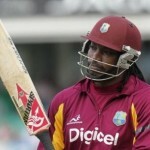 West Indies won the fourth ODI of the series by 24 runs and grasped the five match series 3-1. The fifth and final ODI will be played on July 16, 2012, at the same venue.